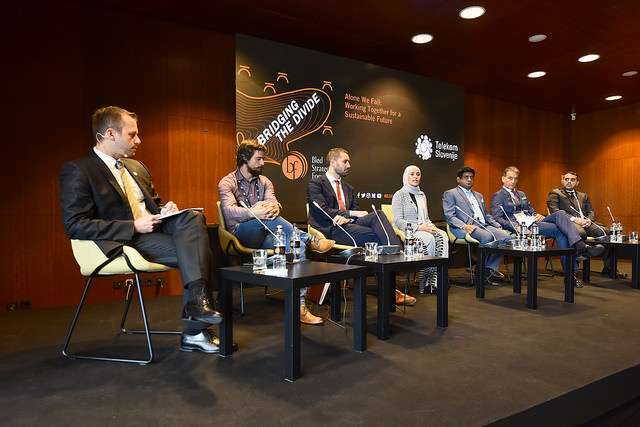 The thirteenth Bled Strategic Forum (BSF) was the largest and richest Forum in terms of content so far, featuring 30 different discussions, excellent panellists and relevant topics. The Forum was attended by over 1200 guests from more than 80 countries. At its conclusion, State Secretary Andrej Logar pointed out that it is becoming a key platform in this part of Europe for exchanging views and for in-depth discussion on the most pressing issues currently concerning not only international relations, but also society as a whole. Among the main achievements of this year’s BSF, he mentioned the panel with EU chief Brexit negotiator Michel Barnier, who offered some serious considerations regarding the future of EU-UK relations and indicated the EU’s possible future action. By organising BSF, Slovenia aims to bring together at Bled an inclusive group of politicians, members of civil society and businesspeople with a view to promoting the values of solidarity, mutual respect and understanding and to expressing readiness to participate in demanding debates in order to obtain answers to the most pressing regional and global socio-political issues. Slovenia would also like to see BSF established as a trade mark, hosting events throughout the year, which would lead up to the annual meeting in September in Bled; efforts to achieve this began this year. On the second day of BSF, the various panel debates focused on the future of the EU and the elements that link us together, on joint global action for a sustainable future, on climate change, the digital transformation of societies, mediation in a new multipolar world, cybersecurity, the 20th anniversary of the Rome Statute of the International Criminal Court, the fate of humans in a technological era, and the future of the Western Balkans. The Young BSF, preceding the conference in Bled, gathered over 70 young leaders from 30 different countries and took a closer look at the sustainable security and its inherent components through 6 lectures and 6 workshop on different locations in Ljubljana. The State Secretary thanked all Forum participants and organisers for their valuable contributions. Special thanks go to the Forum’s partners, companies and sponsors, for their support now and in the future. The next, 14th BSF, will take place on 2 and 3 September 2019.